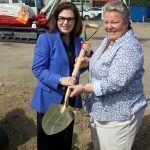 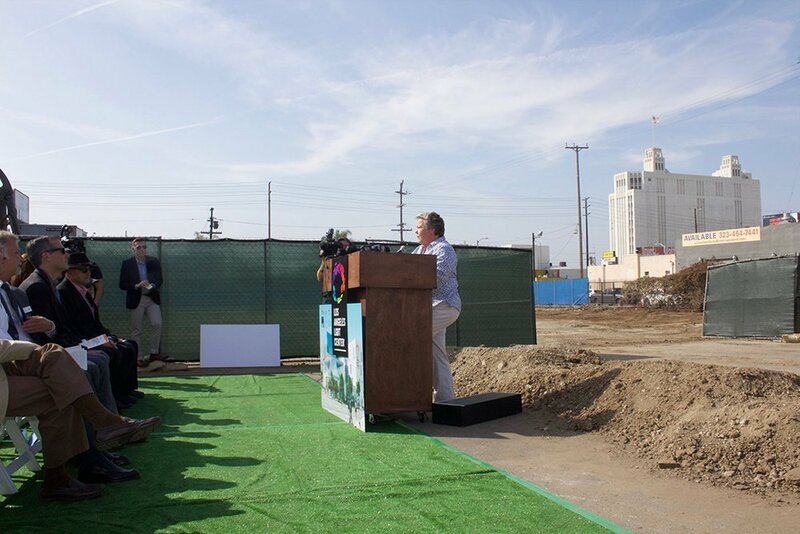 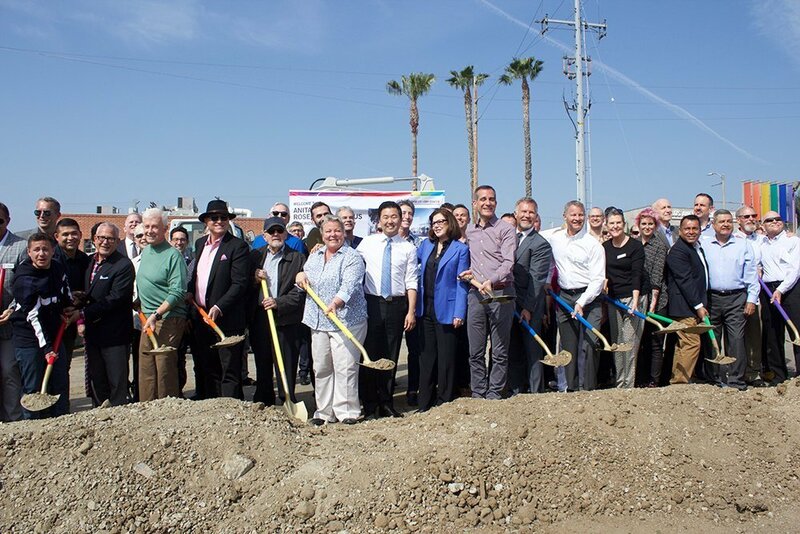 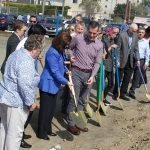 Here’s a flashback Friday to March 18, 2017, when the Los Angeles LGBT Center hosted a groundbreaking ceremony to start construction of The Center’s Anita May Rosenstein Campus on a sunny Saturday morning. 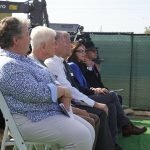 Lead donor Anita May Rosenstein was also in attendance. 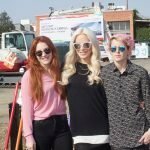 She was joined by family and friends at the event. 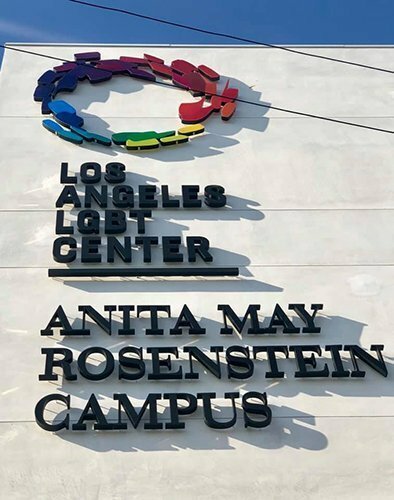 Anita May Rosensteins made a $7.27 million lead gift made through the Anita May Rosenstein Foundation, Wilbur D. May Foundation, and the Anita and Arnold Rosenstein Family Foundation., making it the largest gift to an LGBT organization by a living person. 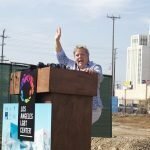 It was an emotional moment when Rosenstein presented The Center’s CEO Lorri L. Jean, with a check for $125,000 for a naming opportunity and a second check for $125,000 for a naming opportunity for The Center’s chief of staff Darrel Cummings. 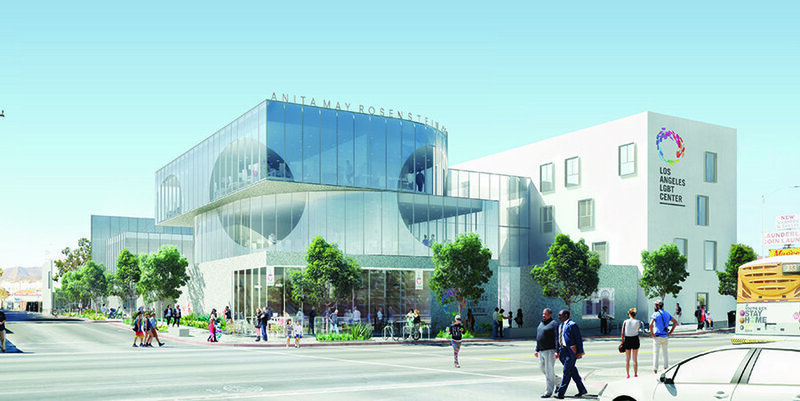 Rosenstein wanted to ensure that their names and legacy are well known on this project. 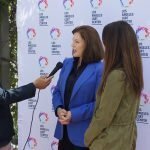 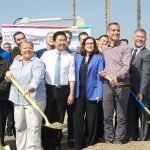 The ceremony was also attended by Los Angeles Mayor Eric Garcetti and Councilmember David Ryu, who were both speakers at the event. 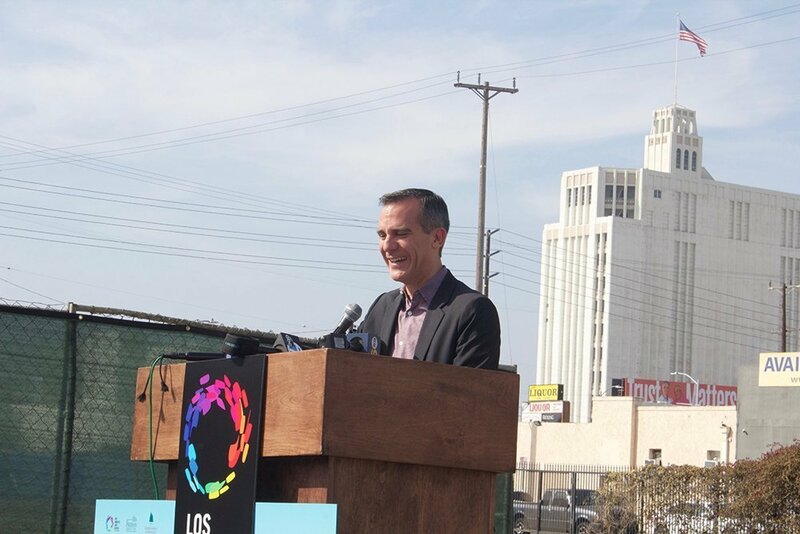 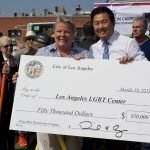 The City of Los Angeles presented the LA LGBT Center with a check donation of $50,000. 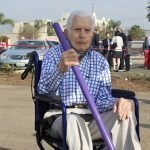 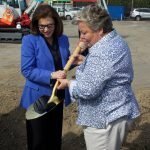 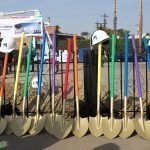 Rainbow-colored shovels were used for the actual groundbreaking. 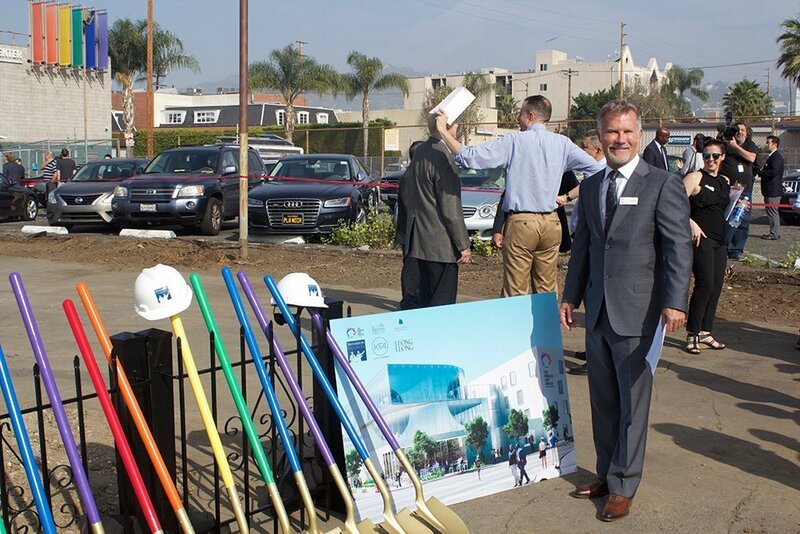 The Center’s then meticulous marketing officer, Jim Key stepped in to re-align the shovels so they were in the order of the rainbow colors before the ceremony began. 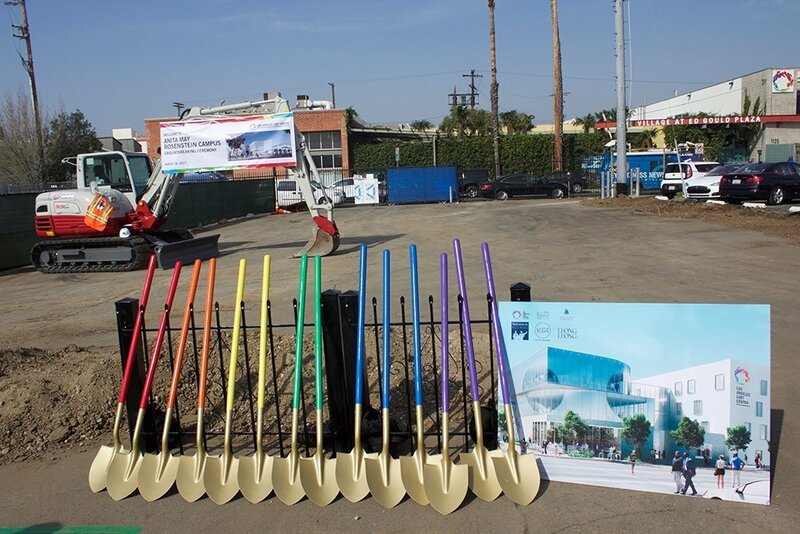 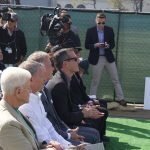 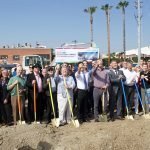 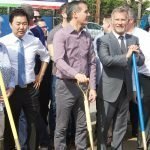 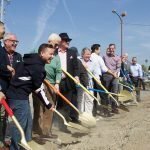 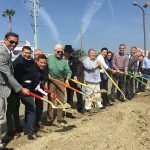 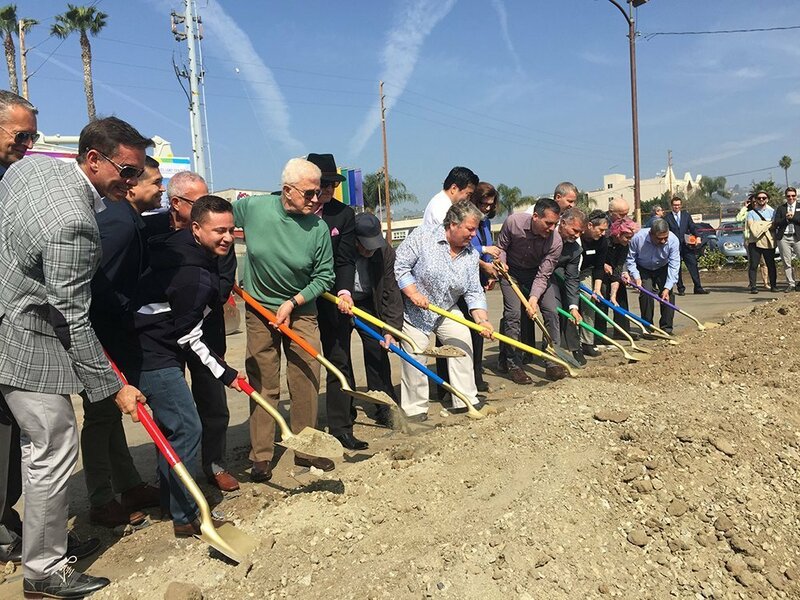 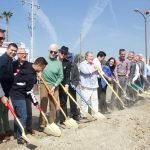 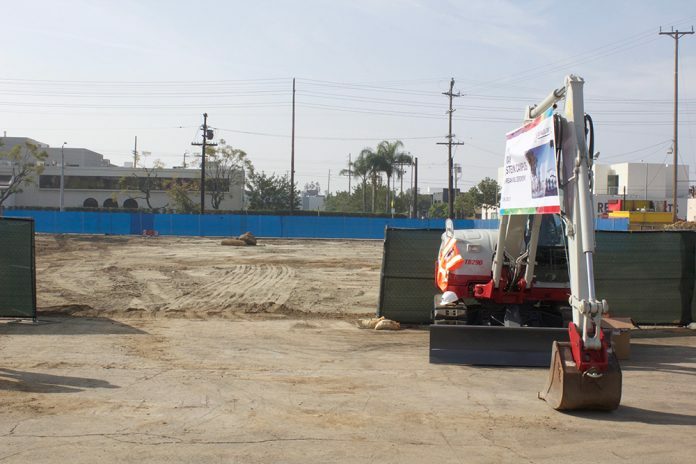 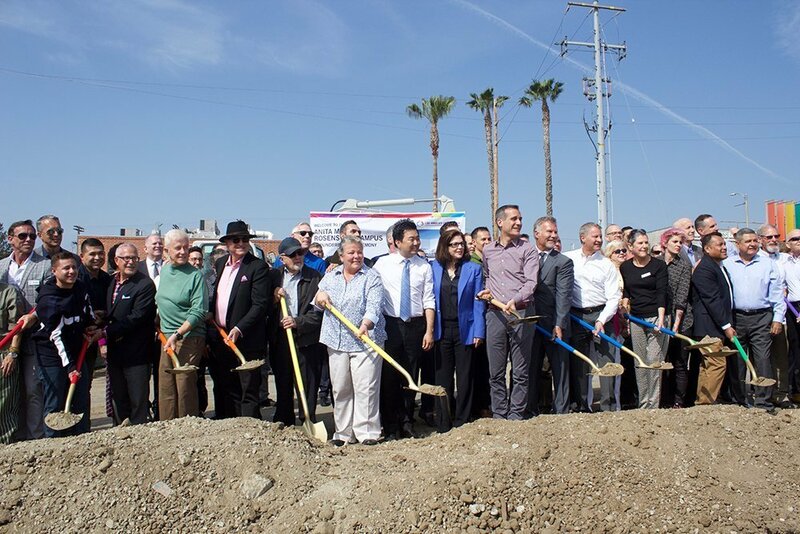 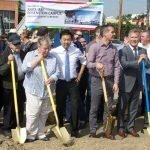 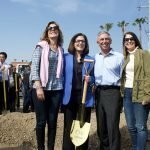 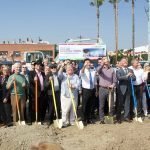 The actual groundbreaking was a photo op with LA LGBT employees, city officials, and donors, grabbing a shovel and digging into the dirt that will one day become the massive center standing today. 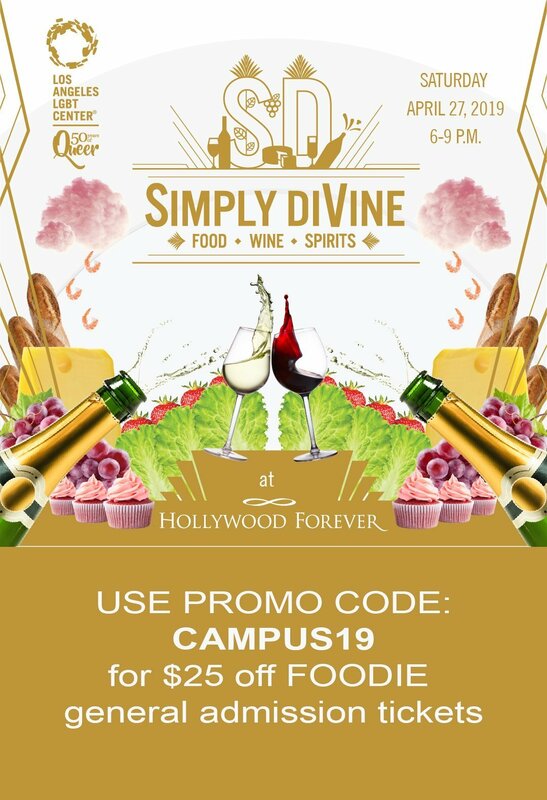 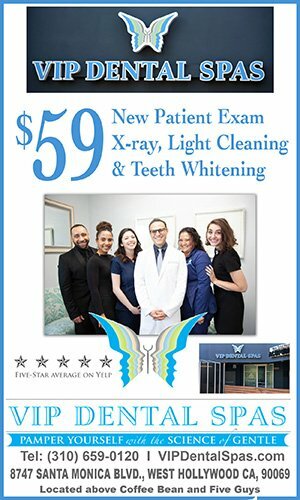 The campus located at 1116 N. McCadden Place, directly across the street from the Center’s The Village at Ed Gould Plaza is now celebrating its grand opening, on Sunday, April 7 from 11am-5pm. 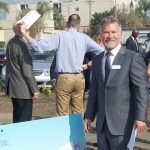 The public is invited for the ribbon cutting ceremony at noon and and all-day block party, which will include entertainment and guided tours of the two-acre complex. 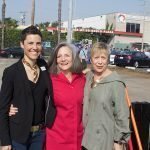 The grand opening is part of the the LA LGBT Center’s 50th Anniversary celebration. 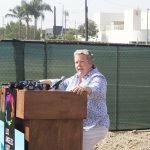 Celebrities scheduled to appear or perform include Lily Tomlin (Grace and Frankie); Kathy Griffin (My Life on the D-List); Jenifer Lewis (Blackish); Wilson Cruz (Star Trek: Discovery); Alexandra Billings (Transparent); Jeffrey Bowyer-Chapman (UnREAL); Bex Taylor-Klaus (Arrow); Shangela (RuPaul’s Drag Race); Brian Justin Crum (America’s Got Talent); Lala Kent (Vanderpump Rules); Shira Lazar (What’s Trending); Bex Taylor-Klaus (Arrow); Trans Chorus of LA; Denise Frasier Band; Ezra Michel; and DJ Ryan Kenney. 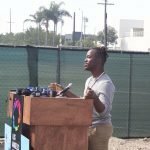 More celebrities and dignitaries to be announced. 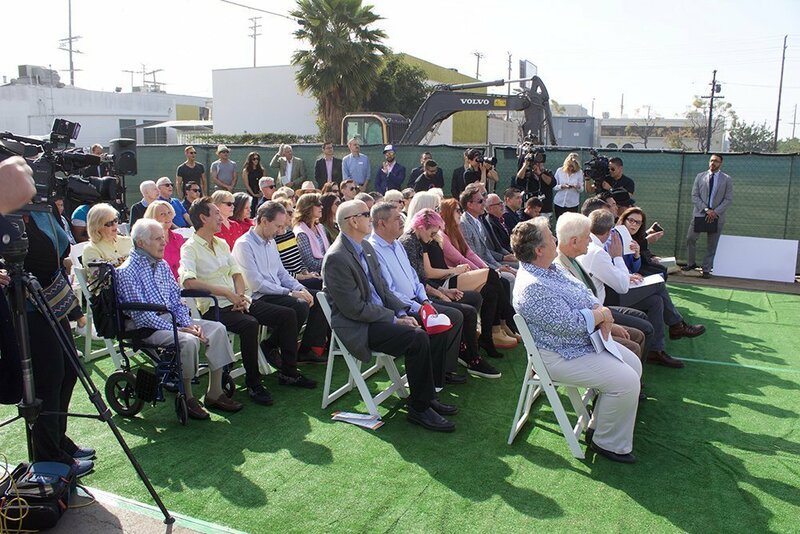 The Anita May Rosenstein Campus is the first-of-its-kind complex in Hollywood, offering 135 units of affordable housing for seniors and youth, 100 beds for homeless youth, new youth and senior centers. 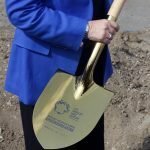 It will serve as the Center’s flagship building. 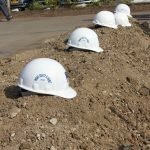 The entire headquarters located at the four-story McDonald/Wright Building will be transformed into a health and medical center. 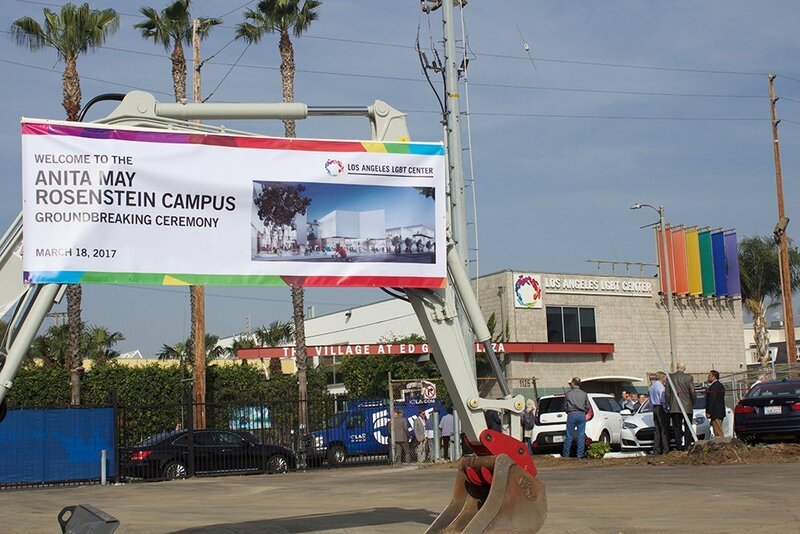 The campus was designed by Leong Leong who was recently honored by the Architectural League of New York as one of this year’s “emerging voices” architectural firms and brought to fruition by executive architects Killefer Flammang (2016 California Council AIA Firm Award winner). 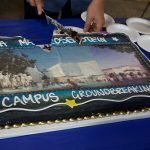 Phase II of the Campus is scheduled to open in mid-2020. 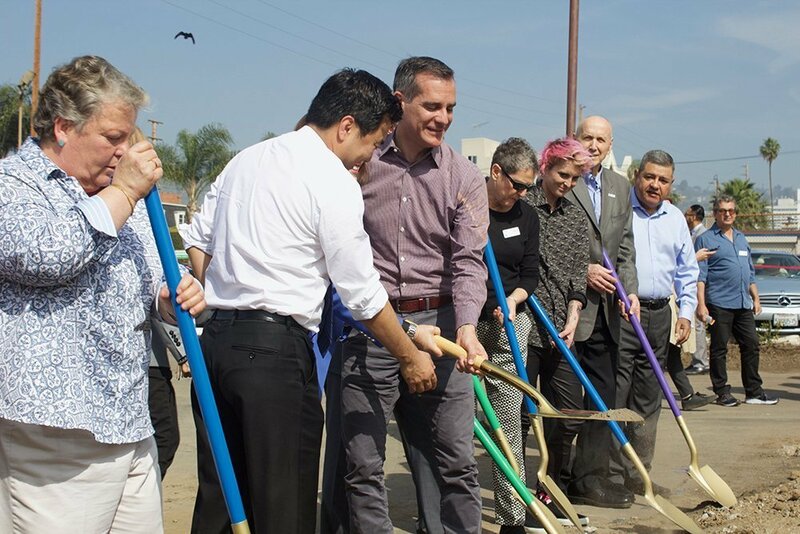 It will include 99 units of affordable housing for seniors and 25 supportive housing apartments for youth. 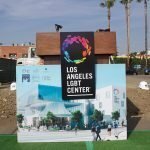 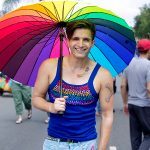 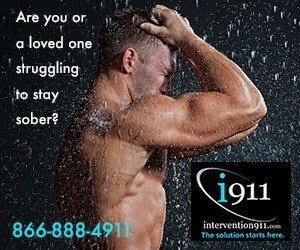 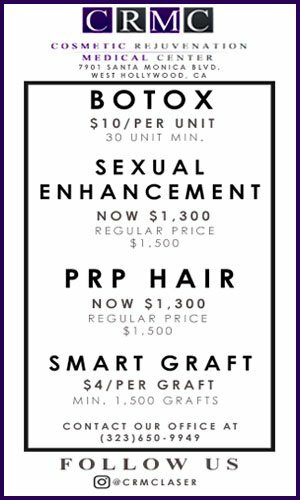 For more information on the LA LGBT Center, visit lalgbtcenter.org.